Seth never expected he would want to settle down with anyone—but that was before Aislinn. She is everything he’d ever dreamed of, and he wants to be with her forever. 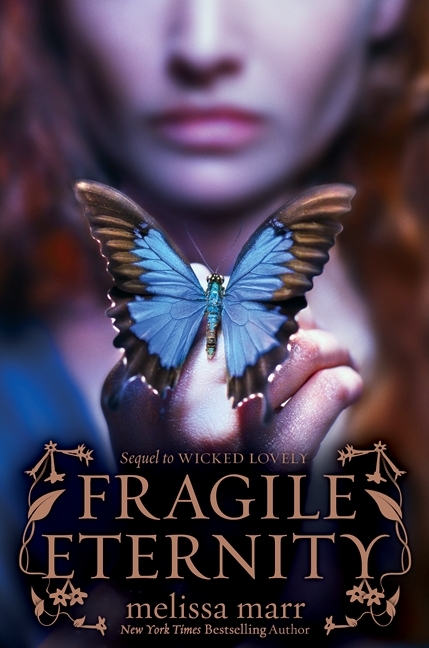 Forever takes on new meaning, though, when your girlfriend is an immortal faery queen. Aislinn never expected to rule the very creatures who’d always terrified her—but that was before Keenan. He stole her mortality to make her a monarch, and now she faces challenges and enticements beyond any she’d ever imagined. This entry was posted in free download, free ebook, Media Tributes, New Releases, sneak peeks and tagged Amazon, books, browse inside, ebook, ebooks, faeries, faery, faery romance, fantasy-fiction, Fragile Eternity, free ebook, free excerpt, free preview, immortal fiction, immortals, Ink Exchange, magic, Melissa Marr, New Releases, paranormal, paranormal romance, sci-fi romance, science fiction, supernatural, urban fantasy, Wicked Lovely. Bookmark the permalink.